Corneal collagen cross-linking is an in-office eye procedure that may be performed by Dr. Goosey for patients whose cornea has been weakened by keratoconus, other corneal diseases, and in very rare cases, a complication of LASIK surgery. This technique uses UV light and a photosensitizer to strengthen chemical bonds within the eye’s cornea. The goal of the treatment is to slow down the progressive and irregular changes that begin to take place within the shape of the cornea; this is known as ectasia. These changes are typically marked by corneal thinning and increased anterior and/or posterior corneal curvature. The less invasive cross-linking procedure involves applying liquid riboflavin, or vitamin B2, to the eyes and then applying the controlled UV light treatment to follow. Corneal cross-linking can also be applied in conjunction with other procedures for keratoconus treatment. As an experienced Cornea Specialist, Dr. Goosey has had the privilege of treating thousands of patients with the best in quality corneal care; therefore, if you or a loved one is dealing with similar vision problems, there is no eye surgeon that is more skilled and knowledgeable than Dr. Goosey! Read more information below on cross-linking. Corneal Collagen Cross-Linking with Riboflavin (CXL) is a developing keratoconus treatment. 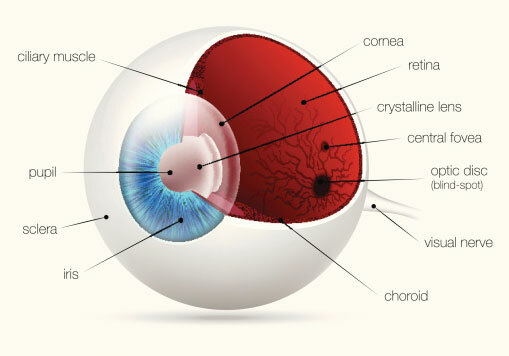 CXL works by increasing collagen cross-links which are the natural “anchors” within the cornea. These anchors are responsible for preventing the cornea from bulging out and becoming steep and irregular. During the corneal cross-linking treatment, custom-made riboflavin drops saturate the cornea, which is then activated by ultraviolet light. This process has been shown in laboratory and clinical studies to increase the amount of collagen cross-linking in the cornea and strengthen the cornea. Collagen cross-linking is not a cure for keratoconus. The aim of this treatment is to arrest progression of keratoconus, and thereby prevent further deterioration in vision and the need for corneal transplantation. Glasses or contact lenses will still be needed following the cross-linking treatment (although a change in the prescription may be required) but it is expected to limit further deterioration of vision. This is the only proven treatment for arresting the progression of keratoconus. This procedure, developed at the Technische Universität Dresden, Germany has been shown to slow or arrest the progression of keratoconus in published European studies. 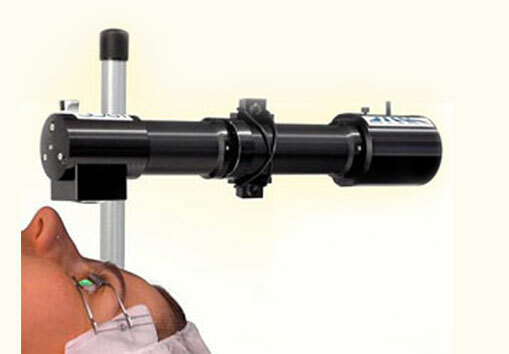 As of April 2016, the U.S. Food and Drug Administration (FDA) gave approval to Avedro Inc.’s corneal cross-linking system to treat patients with progressive keratoconus and post-LASIK ectasia. Learn more. Contact Dr. Goosey’s office for more information, or to schedule an appointment at 281-407-9062.